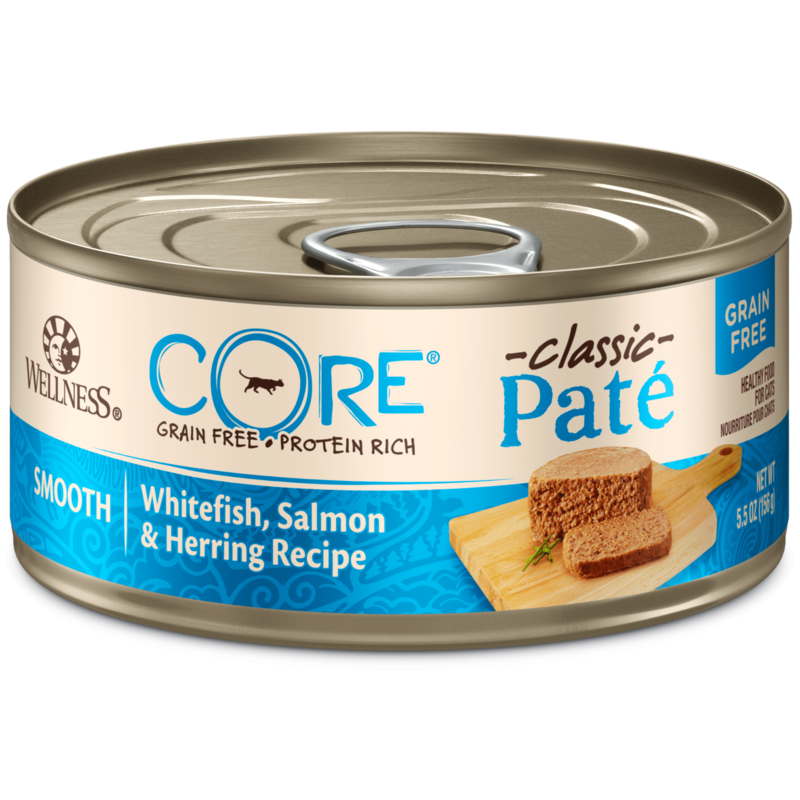 INGREDIENTS: Whitefish, Chickpeas, Peas, Potatoes, Chicken Meal, Herring Meal, Cranberries, Blueberries, Chicken Fat (preserved with Mixed Tocopherols), Natural Flavors, Ground Flaxseed, Salmon Oil, Rosemary Extract, Green Tea Extract, Spearmint Extract. 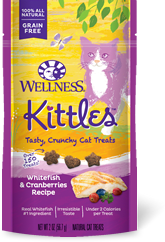 Wellness Kittles™ Whitefish & Cranberries Recipe Cat Treats are intended for intermittent or supplemental feeding only. 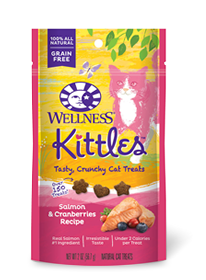 Calorie Content (calculated): This product contains 3,468 kcal/lb or 1.1 kcal/treat ME (metabolizable energy) on an as fed basis.